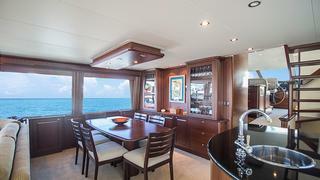 "Selqet" is an 85’ Pacific Mariner with a hull design by the world renowned Bill Garden. 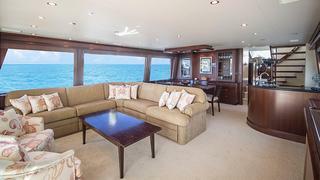 She recently underwent an extensive hull service including new paint, stabiliser service, reconditioned props and hull wax. 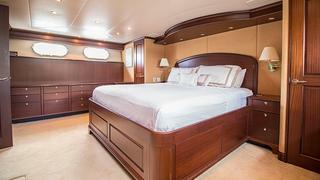 "Selqet" offers spacious accommodations in four en­suite staterooms. 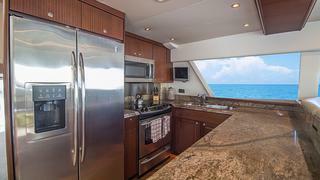 The ful­beam master suite features a separate private entry and large master bath with separate tub and shower.The separate crew quarters and kitchenette facility are located aft and offers sleeping arrangements for up to three crew. 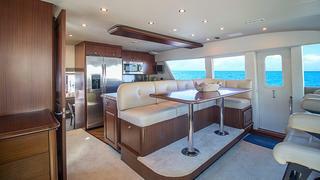 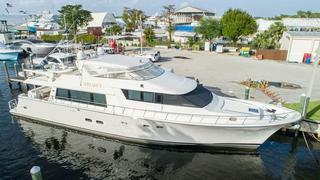 "Selqet" is a must see for any buyer interested in a motor yacht in the 85’ range.